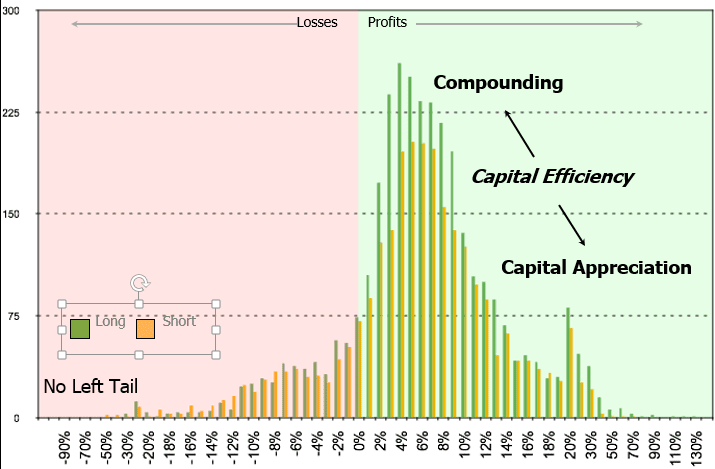 Sharpe ratio - the right answer to the wrong question? Cross-asset unified measure: we all know that the most important component in alpha generation is asset allocation. Now, the difficulty is to have a single measure of risk adjusted measure of alpha. This is where Sharpe did the job. It could give a single number across many asset classes: be it fixed income, equities, commodities etc. Uncertainty: the human brain is hard wired to associate uncertainty with risk. It triggers the amygdala and activates the fight, flight or freeze reflex (see one of my posts about fear and greed). So, Sharpe is a good measure of uncertainty: it quantifies units of uncertainty adjusted performance. Low vol may be extremely risky: LTCM had low vol. In fact, their strategy was to be short gamma. It worked until it did not. Fast forward 2008, vol funds collapsed one after the other. Low vol does not equate risk. CTAs like Ed Seykota, Tom Basso, Bill Dunn, William Eckhardt etc: they have supposedly hopelessly low Sharpe but have clocked >+25% year in year out. Does it mean that the CTAs have risky strategies ? No, it means they have low semi-volatility adjusted strategies. Semi-vol is just downside volatility. As much as I understand that uncertainty is not pleasant and may trigger some reptilian alarms in our brain, we must learn to live with it. It involves mindfulness meditation, strict formalisation of strategies etc. Do not pray for an easy life, pray for the strength to endure a tough one. Now, what is risk ? Risk is not a paragraph at the end of a dissertation. Risk is a number. The only difficulty is to find the adequate formula that goes along. There are two types of strategies: mean reversion or trend following. Please read my posts on the subject. Risk is not difficult to quantify. It is only difficult to identify. I have come up with the common sense ratio as it recaptures both mean reversion and trend following strategies. Bottom line, we have associated risk with volatility. We have come up with a measure of volatility adjusted performance and deem it a risk measure. CSR, on the other hand, is a unified risk measure that can be used across asset classes. It measures risk according to strategy type. Please subscribe and get some files, material and resources. This is all free so take advantage of it. — By Laurent Bernut of Alpha Secure Capital.